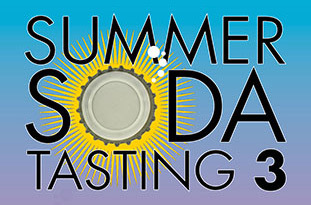 Beat the heat with Lemmy and MacFuddy at Galco’s Summer Soda Tasting 3. UPDATED to correct the Los Angeles River Revitalization Corporation link. Go Go’ers, DO NOT miss Never Built Los Angeles at the A+D Museum. The exhibit, beautifully curated by Greg Goldin and Sam Lubell, is as much a work of art as the pieces in it. It’s the end of July, which is kind of like the Hump Day of Summer. Drink to celebrate. Drink to stay cool. Drink to remember or forget. So many opportunities for all of the above. The Friday night event includes an insider tour of the river-adjacent GreenBar (L.A.’s first/green distillery and the “go to” choice for discerning mixologists everywhere), nom nibbles from Mercato Catering, and tastes of GreenBar’s best handcrafted/organic spirits. You’ll definitely want to adopt the “two if by sea” cocktail rule. According to Wikipedia, “Cuba” translates as “great place”. Evidently, the phrase that translates as “Fifties cocktail and espionage mecca” was taken. If Cuba is on your “Go List” but your budget is on the “Staycation List”, head to the Egyptian Theater this Saturday afternoon for a triple whammy of Cuban culture. 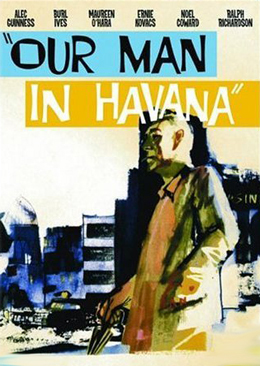 The anchoring event is American Cinematheque’s Our Man in Havana, which is based on Graham Greene’s satirical novel and shot in Cuba just after Castro came to power. Rumor has it that El Commandante visited the Our Man in Havana set…because a revolutionary’s job is never done. Pre-screening, join the L.A. delegates of The International Coalition of Art Deco Societies who will talk about highlights of the coalition’s recent conference in Cuba. Post-screening, chat all things spies and Deco over no-host drinks at Sadie Kitchen & Lounge. It’s not Sloppy Joe’s Bar in Havana but the only thing lethal will be your cocktail. 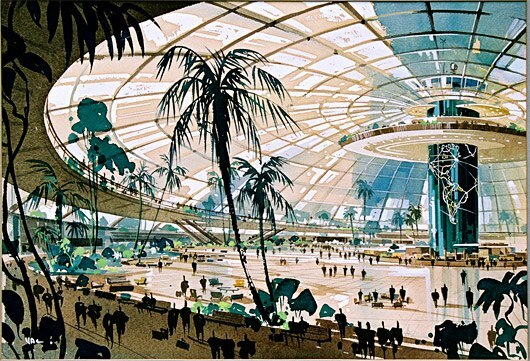 If the monorail was the highlight of your childhood visits to the Land of Walt, don’t miss Never Built: Los Angeles — a view of Tomorrowland as envisioned by actual architects but never realized. There will be no Buzz Lightyear Astro Blasters. KCRW’s Frances Anderton is the MC for Saturday’s opening reception of the exhibit curated by Greg Goldin and Sam Lubell, which features blueprints, renderings, drawings, and models of an L.A. that never was although partially, potentially could still be in the future. Cocktails help offset future shock while Border Grill Truck staples sustain you during your journey through the New Frontier. To infinity and beyond, Angelenos…. Also, Summer Soda Creating #1. 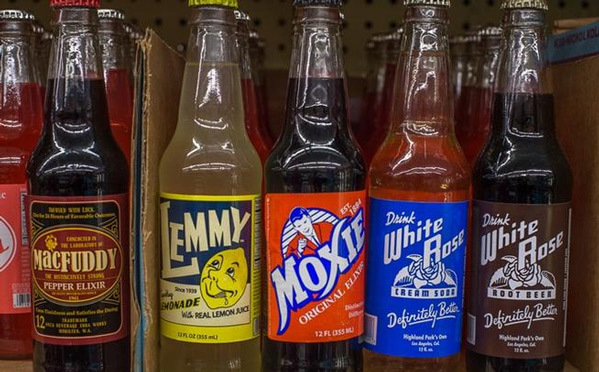 For the soft drink equivalent of X-treme sports, jump over to Galco’s Soda Pop Stop in Highland Park this Sunday for Summer Soda Tasting 3. Galco’s proprietor, “King of Pop” John Nese, opens up his beloved blast-of-the-past shop for the third year of summer soda sipping with all proceeds once again helping Friends of the Southwest Museum in their efforts to re-open L.A.’s first museum. Galco’s stocks over 400 sodas (plus hard-to-find beers); a record 27 sodas will be available for tasting at the benefit. Finally, for the soda pop equivalent of BASE Jumping, check out the debut of the only-at-Galco’s Creation Station: mix two flavors, add desired level of carbonation (mild to…bottle rocket strength? ), cap, and label. And just like that, the Negroni-oda* is born.